As the global development community promotes the concept of a “data revolution”, it is necessary to once again take stock of what resources are being directed to statistical systems. 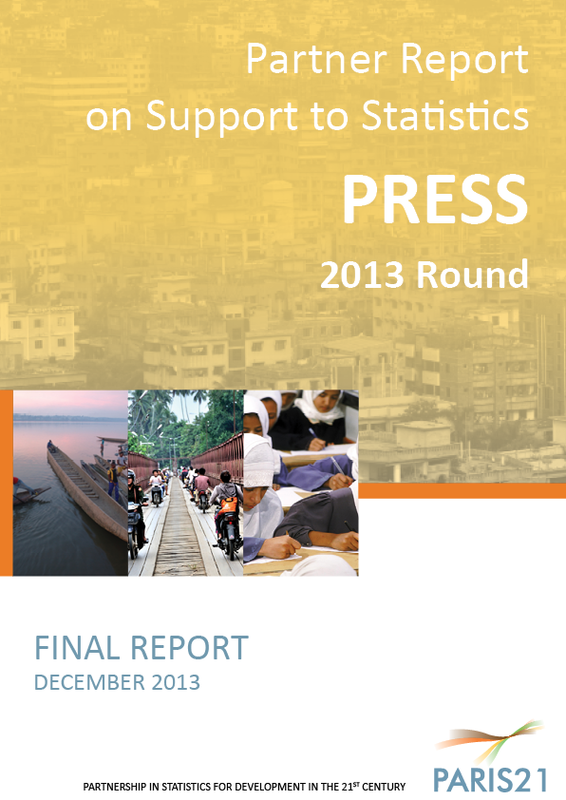 The 2013 Partner Report on Support to Statistics (PRESS) provides a snapshot of such ongoing support to statistical development across the globe, and presents an overview of major trends. $394 M Support to statistics reached US$ 394 million in calendar year 2013. This is US$ 100m more than in 2012, though still down from the peak in 2011 of US$ 518m. 0.16% The share of ODA dedicated to statistics fell from 0.32% in 2011 to 0.16% in 2012; 2013 figures for all ODA are not yet available. 90% Almost 90% of support to statistics is aligned with NSDSs, up from 88% in 2012 and 32% in 2011. 89.2% The top five providers of development co-operation in statistics (World Bank, United Kingdom, European Commission, African Development Bank, and UNFPA) provided 89.2% of total commitments in 2013, up from 76% in 2006.